Huawei and Softline international signed an agreement on partnership, the press service of the Chinese Huawei said. 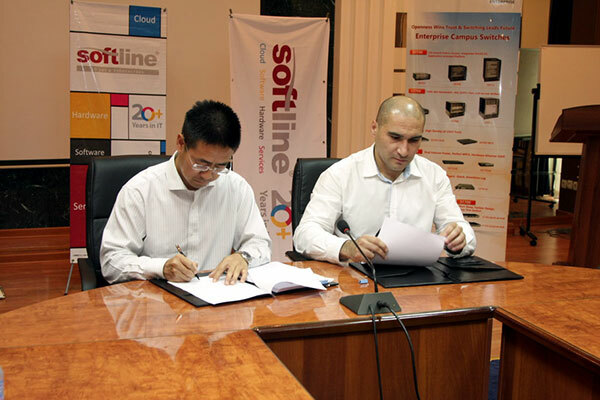 According to the agreement, Softline office in Uzbekistan will receive Value Added Partner (VAP), which is the highest status within the partnership program of Huawei and allows to receive special conditions, technical and marketing support directly from the vendor. Huawei adopted the decision on provision of VAP status to Softline also due to its training center Softline Education in Tashkent. The center has the HALP status (Huawei Authorized Learning Partner), which trains and certificates specialists on Huawei solutions for Central Asian region. An important factor in the adoption of Huawei decision on conferring the status of VAP is its own training center Softline Education in Tashkent. Training center Softline Education in 2015, earned the right to have the status of HALP (Huawei Authorized Learning Partner), allowing you to train and certify professionals on Huawei solutions for all of Central Asia. When training using actual equipment Huawei Enterprise level.